"Interesting," noted Freer of this Parthian vessel. "Compare with similar specimens," he added in his inventory notes: And in the Peacock Room in Detroit, he put the suggestion into practice, placing this jar adjacent to four similar examples. 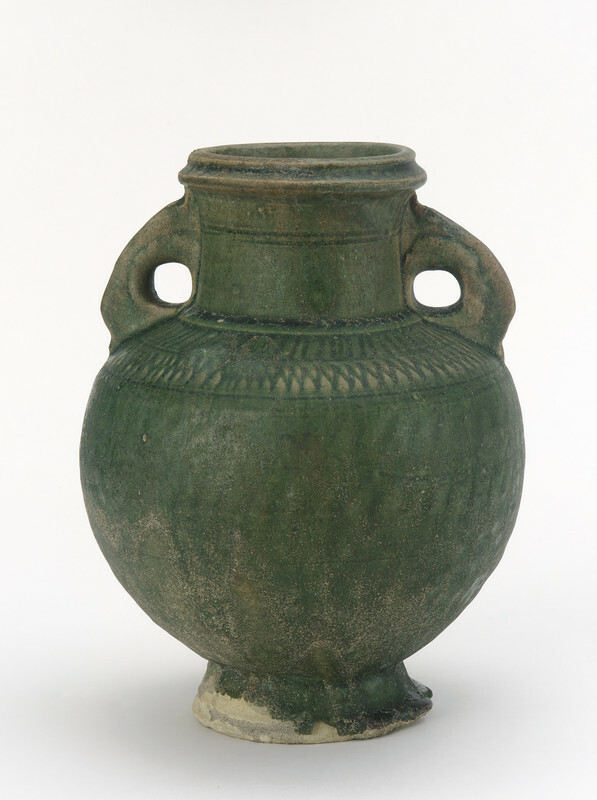 Earthenware jars of this shape, typically covered with an alkaline glaze colored brown, green, or turquoise, are characteristic products from Mesopotamia during the Parthian period of the first through third century BCE. Freer acquired his Parthian wares from Dikran Kelekian, whose main gallery was located in Paris. "Jar," in The Peacock Room, Freer Gallery of Art, Smithsonian Institution, Accession No. F1903.191, Item #3136, http://www.peacockroom.wayne.edu/items/show/3136 (accessed April 19, 2019).